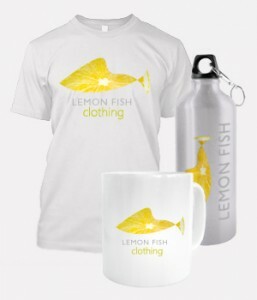 Lemon Fish Clothing is a leading garment printing company that specialises in printing custom designs. We offer a high quality printing service which is both quick and flexible and delivers great quality. We have a huge range of garments, boasting a large selection of t-shirts, polo’s and hoodies. We pride ourselves on making sure each individual order meets the requirements of the customer, concentrating on design, garment colour and garment quality. We use a range of printing methods which make the designs stand out from the rest. We regularly check quality to create the best looking garments for all our customers. Each method has its own look and combined with the correct design and garment; some fantastic looking products can be produced. We understand that our customers may not know how these methods work and what would be the best for their idea, however our friendly team will help every customer determine the best way for their design to be printed. Check out our products and offers to find the best deal for you. We all know Britain has wealth of creative talent and we are proud to say that Lemon Fish Clothing have this talent working constantly to bring our customers fantastic products. All our designs have been created and produced in Great Britain. Its something we are very proud of and happy to tell everybody. WRAP is an independent, objective, non-profit team of global social compliance experts dedicated to promoting safe, lawful, humane, and ethical manufacturing around the world through certification and education. We are proud to say that we only source ethically produced garments for all our orders. We use the delivery courier service FedEx. We find that FedEx are the best delivery service that ensures your order arrives quickly as well as safely. We track all the individual orders to ensure orders reach our customers on time.